As 2013 comes to a close, we asked each of our writers to look back on the most entertaining or rewarding story they contributed to our site in the past year. They responded with a bounty of great interviews, reviews and lists that made us realize what a big and busy year it's been in the world of classic rock. Below you will find their choices as well as a brief explanation of what made each of these features so special. Truth be told, my favorite "article" of 2013 was the book I wrote this year, but that doesn't have anything to do with rock, so for this list, I'm going to go with the time I got to spend a couple of illuminating hours on the phone with Steve Lukather. I've mocked and admired Toto's music in roughly equal measure for most of my life, so talking to Steve would have been a professional thrill no matter what happened during our conversation -- but as it turned out, he was not only very generous with his time, he was incredibly open and honest about the many ups and downs the band has faced over the last 35 years. I came away from the call with deeper knowledge and a lot more respect for Lukather, which is really my goal for any interview. This was a great year for music documentaries -- ‘Sound City,’ ‘Springsteen & I,’ Muscle Shoals’ and ‘Big Star: Nothing Can Hurt Me’ -- but ’20 Feet from Stardom’ was my favorite. I think that, too often, the African-American influence in rock is, at best, taken for granted and, at worst, ignored. This movie, which was about the black, gospel-trained singers who contributed background vocals to some of our favorite songs, brings it to the fore. To see Mick Jagger’s reaction at Merry Clayton’s isolated part on ‘Gimme Shelter’ alone is worth the price of admission, but to also tell the story of Darlene Love, Lisa Fischer and so many others we’ve heard over the years makes this a must-see. It was an honor to talk to the legend that is Eric Burdon about his newest album, '‘Til Your River Runs Dry.' Burdon opened up about the early days with the Animals, his songwriting, politics, and life in general, all the while coming off as very down to earth. My favorite UCR story kickstarted my 2013 in a major way: I was the first writer to discuss David Bowie's surprise new album, 'The Next Day,' with his long-time guitarist, Earl Slick. Besides being an insanely talented player, Slick is also an incredibly nice, charismatic person -- which made our interview that much more of a thrill. It was a pretty active year for some of rock's greatest icons, with new music from Paul McCartney, Elton John and Boston, just to name a few. For my money, it was this small taste from Bruce Springsteen's new album 'High Hopes' that got me most excited about music. Full of muscle, grit and heart, Springsteen's single points toward great things for the Boss in 2014 -- the rest of the album (which may have snuck out the back door already but isn't due for a few more weeks) and some international dates on the books that may evolve into a full-fledged tour here in the US. It's one of those moments that makes you glad for rock's past, present, and ever-changing future, full of potential and possibility. Bryan's out on vacation all month -- so we picked this great countdown of all the times we nearly lost Keith Richards on his behalf. 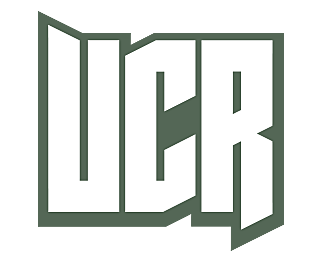 Among the many articles I wrote for UCR in 2013, my favorites were inevitably those that required the most amount of work and forethought. Articles like the Top 50 AC/DC Songs, the Led Zeppelin and Black Sabbath Songs Album by Album features, and the Top 10 Songs by each member of Queen. But at the end of the day, even these didn't feel as close to my heart as the Top 10 Cliff Burton Metallica Songs, which was a true labor of love involving the untimely rock star demise that arguably affected my formative years most of all. Cliff's importance to Metallica really simply can't be overstated, but, like any bass player working in metal, his work inevitably gets buried under all that competing volume and distortion. That's why calling attention to those contributions felt so important to me, I suppose. Robbie Robertson remembered the Band's 1971 live dates alongside horn-playing members of the Count Basie, Miles Davis and Charles Mingus, as featured on this year's box set 'Live at the Academy of Music.' Despite those pedigrees, the Band's own multi-instrumentalist Garth Hudson more than held his own: "When he played," Robertson told me, "those guys were, like: 'Whoa! (Laughs.) That's the s--!'" I had the chance to speak with a number of colorful folks about their musical craft in 2013 -- including a good conversation with Foreigner's Mick Jones reminiscing about his experiences working on Van Halen's '5150' album. While there were a number of "pinch me" type moments speaking with guys like Meat Loaf, Aerosmith's Brad Whitford and the one and only Jeff Lynne, it's my February chat with Steve Lukather that really stands out as a favorite. We spoke with Luke twice this year and each time, all we had to do was roll the tape, ask some questions and sit back to enjoy the stories that came back. He always delivers the gold that you would expect from a guy that played on nearly every album that came out in the '80s. (I'm only slightly exaggerating ... ) Can't wait to hear the new Toto album that's currently in the works! The recording process has always fascinated me. Which probably explains why I'd rather spend a night at home poring through classic records than at a concert. The countless hours that it takes to put together a perfect rock album seems way more relevant than that same album played onstage -- for what's most likely the 37th time in the past six weeks. I've dissected more studio bootleg records than I care to admit. Likewise, the origins of classic albums -- whether they started with a hit single, a one-off session or leftovers from a previous LP -- often unlock hidden treasures to some of my favorite records. There's a ton of info to be found in the Rejected Original Titles of Classic Albums -- from the Who's literal 'Tommy' title to Pink Floyd's first, and more satisfactory, choice for 'The Dark Side of the Moon.' Plus, our art department altered the cover designs to reflect the albums' original titles -- perfect for bootlegs! First of, thanks so much for supporting this site so strongly this year. I hope you all have an awesome 2014. Although it was pretty great to nerd out by writing four straight Sammy Hagar Top 10 lists in one week, the most fun I had all year was writing about the time I learned an important life lesson from a man partially famous for wearing striped pants.